St. Martin's Griffin, 9780312378028, 592pp. 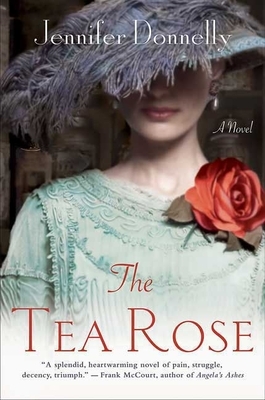 The Tea Rose is a towering old-fashioned story, imbued with a modern sensibility, of a family's destruction, of murder and revenge, of love lost and won again, and of one determined woman's quest to survive and triumph. East London, 1888-a city apart. A place of shadow and light where thieves, whores, and dreamers mingle, where children play in the cobbled streets by day and a killer stalks at night, where bright hopes meet the darkest truths. Here, by the whispering waters of the Thames, a bright and defiant young woman dares to dream of a life beyond tumbledown wharves, gaslit alleys, and the grim and crumbling dwellings of the poor. Fiona Finnegan, a worker in a tea factory, hopes to own a shop one day, together with her lifelong love, Joe Bristow, a costermonger's son. With nothing but their faith in each other to spur them on, Fiona and Joe struggle, save, and sacrifice to achieve their dreams. But Fiona's dreams are shattered when the actions of a dark and brutal man take from her nearly everything-and everyone-she holds dear. Fearing her own death at the dark man's hands, she is forced to flee London for New York. There, her indomitable spirit-and the ghosts of her past-propel her rise from a modest west side shopfront to the top of Manhattan's tea trade. Authentic and moving, Jennifer Donnelly's The Tea Rose is an unforgettable novel. Jennifer Donnelly writes books for children and adults, including the novel The Tea Rose. She lives in Brooklyn and upstate New York, with her husband and two greyhounds. She has a passion for tea and roses.